Danny Green is learning how to say no to people and isn't flustered by the possibility he had a spy in his camp before his upcoming boxing world title bout. 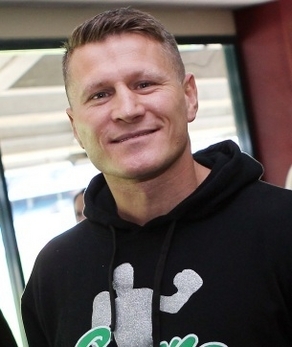 Green is challenging Poland's WBC cruiserweight champion Krzysztof Wlodarczyk in Perth on November 30. The fight offers Green a chance to quickly re-establish himself as one of the division's leaders after he lost his IBO world title to Antonio Tarver in Sydney last July. The 38-old-year-old Western Australian revealed he had taken a back to basics approach following the devastating loss to Tarver. An affable character, who is always at his most dangerous when he is relaxed, Green said he was tense before the Tarver bout. Always actively involved in promoting his fights on home soil, Sydney-based Green has decided to make himself less accessible in the leadup to the fight with Wlodarczyk. "I'm learning to say no to the inundation of requests that I'm always getting," Green told AAP. "I learnt a very hard lesson the last fight. My obliging nature worked to my detriment. "So I've got to, for once in my career, look after what I have to look after and that's my boxing only, nothing else. "What I've been doing is working very hard, back to basics. "Back to the old school way of just training, sleeping, stretching, eating the right food, massage, chiro, recovery and sleep and talking to my kids on the phone." Green said he felt relaxed coming into this month's fight and wasn't even fretting about the possibility he might have had a spy in his camp. Polish-born world ranked cruiserweight Andrzej Fonfara was among his recent sparring partners. "We've heard that possibly he might be a spy in the camp, but when the bell goes it doesn't matter what he tells him," Green said. "A year ago or six months ago, I would have been fretting, but who gives a f*** what he's going to do? "He ain't Wlodarczyk and I do tend to fight differently from the way I spar. "Normally I fight better than I spar so if he tells him everything that's great. "Because if he's worried about me, instead of worried about what he's doing, it's great." Green was excited about taking on one of the world's premier cruiserweights rather than opting for an easier opponent following his loss to Tarver. "He's defensively extremely economic, he doesn't get hit a lot this bloke," Green said of Wlodarczyk. "He's never been dropped, he's a tough guy, so I'm really in for the fight of my life and I'm excited." Green said it was difficult to take what he learnt from the Tarver fight into his next contest, as Wlodarczyk was a different style of opponent from the American. Danny Green isn't fazed by the possibility he had a spy in his camp before a world title fight.